Animal products – meat, milk, eggs and fish – are vital components of the diets and livelihoods of people across sub-Saharan Africa. However, these nutritious food products are also the most risky. Most food-borne disease is caused by perishable foods: meat, milk, fish, eggs, fruits and vegetables. Food borne-disease can be serious. In a minority of cases, it can cause epilepsy, paralysis, kidney failure and death. In addition, the global economic burden of food-borne disease is significant. Annually, food-borne disease is estimated to cost US$78 billion in the United States of America, US$14 billion in China and US$3 in Nigeria. 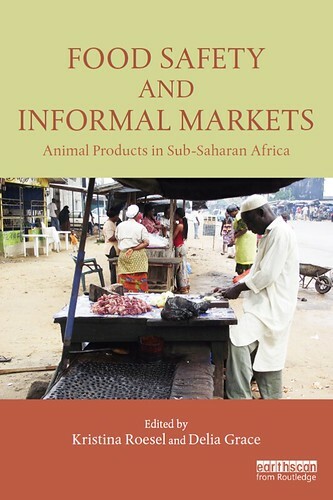 Over 80% of the meat, milk, eggs and fish produced in developing countries is sold in traditional or informal markets. These markets are accessible, sell affordable food and provide market access to small-scale farmers. However, informal markets often lack adequate refrigeration, inspection and control of food-borne disease.